In 1999, BrandForward conducted a comprehensive study of brand equity and brand perceptions in the insurance industry. The study gathered metrics on more than 200 insurance brands. The results were not flattering. All insurance companies but one (State Farm) disappointed their customers when it came to claims. This contributed to a lack of loyalty, focus on price and insurance company switching. Fast forward to today - 19 years later. If Allstate is an example of how insurance companies have evolved over time when it comes to claims processing, they have been careful students of creating the total brand experience and customer touch point design. I hit a deer last week. Upon calling Allstate, I was instructed to download the Allstate app to my smartphone so that I could file a QuickFoto Claim(R). The app instructed me to take the appropriate photos of the damaged area, each corner of the car, the VIN and the odometer. That took 5 minutes at most. Based on their conversation with me over the phone and these photos, they processed my claim in less than 2 hours and then downloaded the difference between the claim amount and my deductible in my checking account through my bank's debit card. The money was available instantaneously. Meanwhile, they helped me locate a local collision shop and had already sent them my claim information. The collision center sent a tow truck and has kept me informed about the process and schedule. Allstate also called the nearest Enterprise car rental location and had procured a loaner car for me while mine was in the shop. This cost is covered by my insurance policy. Enterprise stayed open a few minutes late (past their 6 pm closing time) to accommodate me and then upgraded my car. They followed up with me a day later to make sure my rental was satisfactory. To me, this is an example of a carefully designed customer claims processing experience and an integrated system of interaction with their strategic partners, including the smart use of mobile technology. 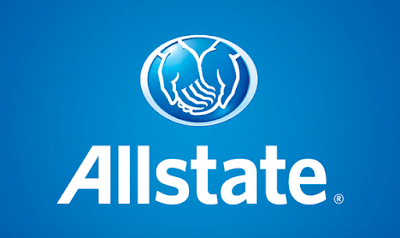 This has significantly improved my perception of Allstate and has cemented my loyalty to them. And this should be equally beneficial to them as I have six personal and business policies through them. As I do not have claims very often (perhaps once every ten to twenty years or so), I cannot attest to how other insurance companies handle these situations. However, I can attest to how Allstate has handled their claims processing and my hat is off to them for an excellent job.